This Sundays double bill screenings are two documentary's looking at social change and social documentation through music. The two mesmerizing films are DARK DAYS by Marc Singer, a haunting look at homelessness in New York a film which is both heart breaking and hilarious, its intimate portrayal of life underground is accompanied by a dream like score composed by DJ SHADOW. 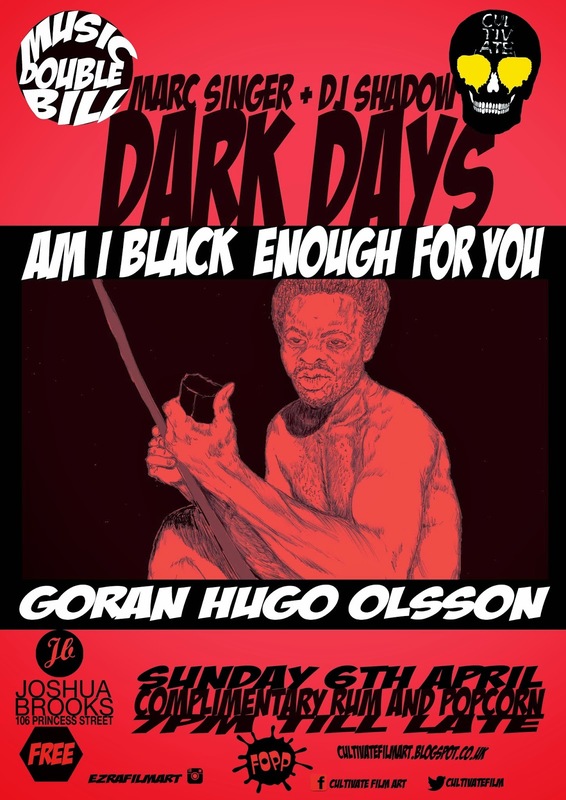 Followed by Goran Hugo Olsson's, AM I BLACK ENOUGH FOR YOU the story of BILLY PAUL and the sound of Philadelphia Records an amazing trip through the cultural and musical history of 70's Philadelphia. We are back in the basement after our detour upstairs last week.